Welcome to the New USFG Web Site! We are thrilled to present our new Web site to our members and to the world. This article will familiarize you with the new features of the site. Existing members already have accounts on the site. You can gain access to your account by requesting a password reset. Click on the “password reset” link, highlighted in green in the previous sentence. Enter the email you used to register with the USFG. You will receive an email where you can assign the password you prefer to your account. Once you have set a password, you can login and explore all the new features of the site. Please take a few moments to complete your member profile and our demographic survey by clicking the “My Profile” at the top of the page. Also, be sure to check the expiration of your membership. This can be found in My Account, under the subscriptions tab. There is a renewal button provided as well. Not a USFG member yet? Discover the benefits of membership. 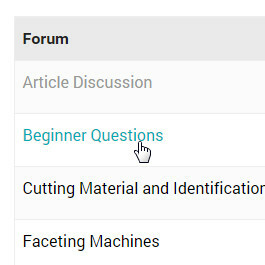 Our forums allow you to login with your password and participate in discussions covering all aspects of faceting. Easily attach photos and files! The improved faceting diagram collection allows anyone to search by a variety of parameters—even pull up all the USFG competition diagrams with one click! PDF and GemCad files are available on many diagrams, along with detailed cutting instructions. 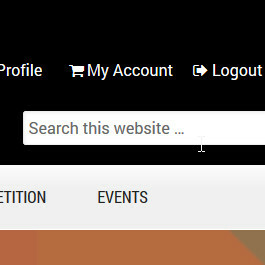 The search bar at the top of the page will return results from all areas of the site. 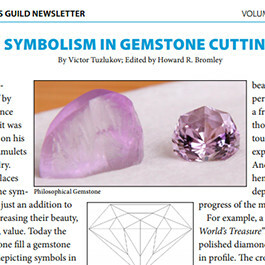 For instance, if you search “utopia” (for Jeff Graham’s Utopia pear design) you will see the faceting diagram, official 2002 competition cutting notes from USFG, and PDF newsletters with articles about cutting strategies for Utopia. Even forum topics and replies show up in the search results. 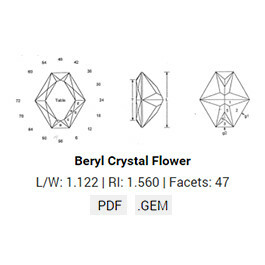 This ability makes usfacetersguild.org a fantastic resource for learning the craft of faceting. The #1 reason members have always come to usfacetersguild.org is to browse our newsletter archive. Now, you only need to log in with your USFG password and all newsletters are instantly accessible. The search field at the top of the Web site can search the articles in many newsletters. Our new member directory is searchable by any information members choose to post about themselves. Your member profile allows you to post whatever you’d like to share with your fellow guild members, including location, areas of interest, USFG certification, URLs, and more! “Tired of Scratches” Seems to be locked. I successfully made comments to other post.